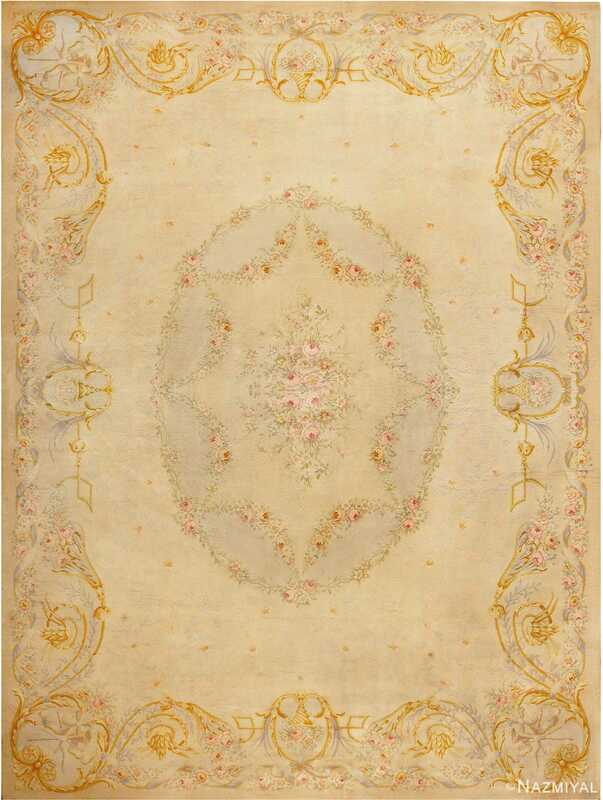 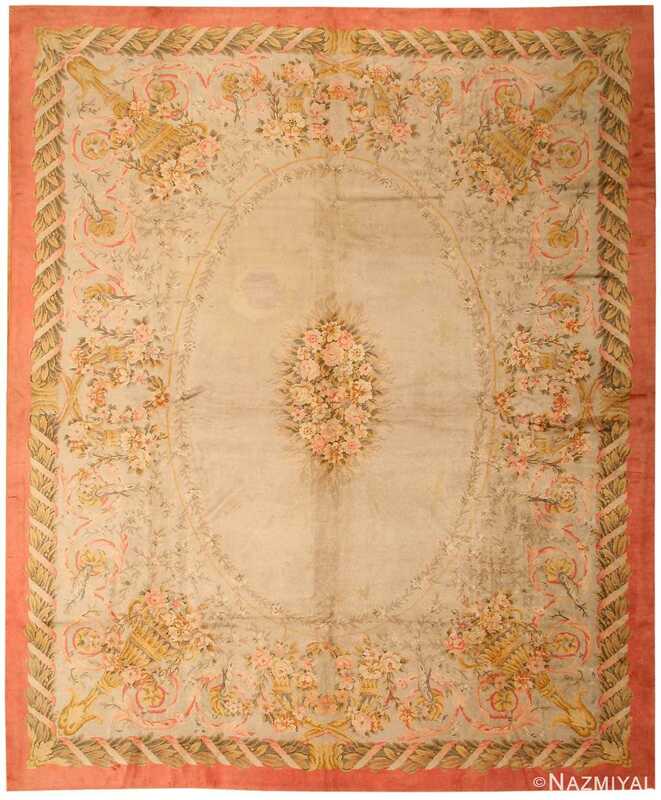 Large Size Floral Antique french Savonnerie Carpet, Country Of Origin: France, Circa Date: Late 19th Century – Delicate medallions are one of the most defining features of the soft and decorative antique French Savonnerie carpet. 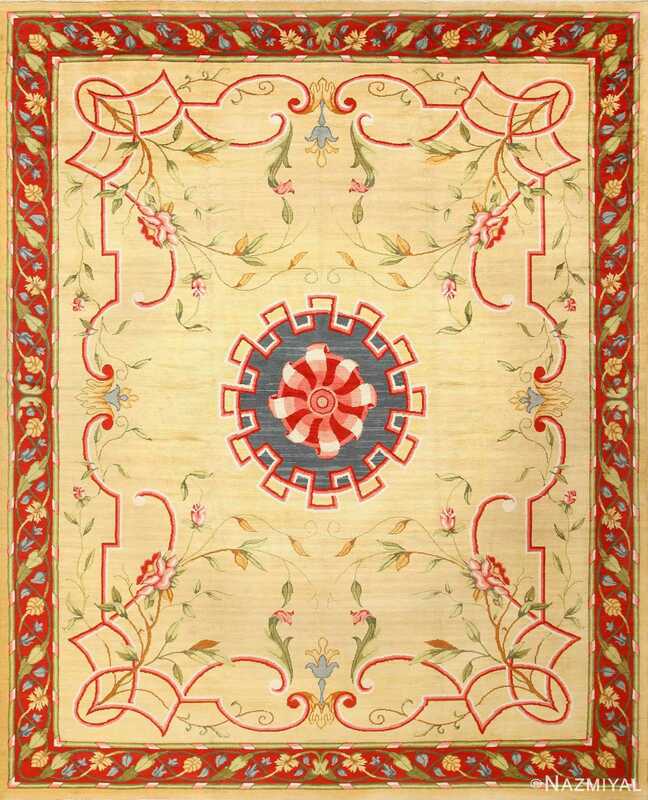 In this French rug masterpiece, the floral arrangements lead the viewer’s eye to the heart of the antique rug, where the lines of motion all converge to a common focal point. 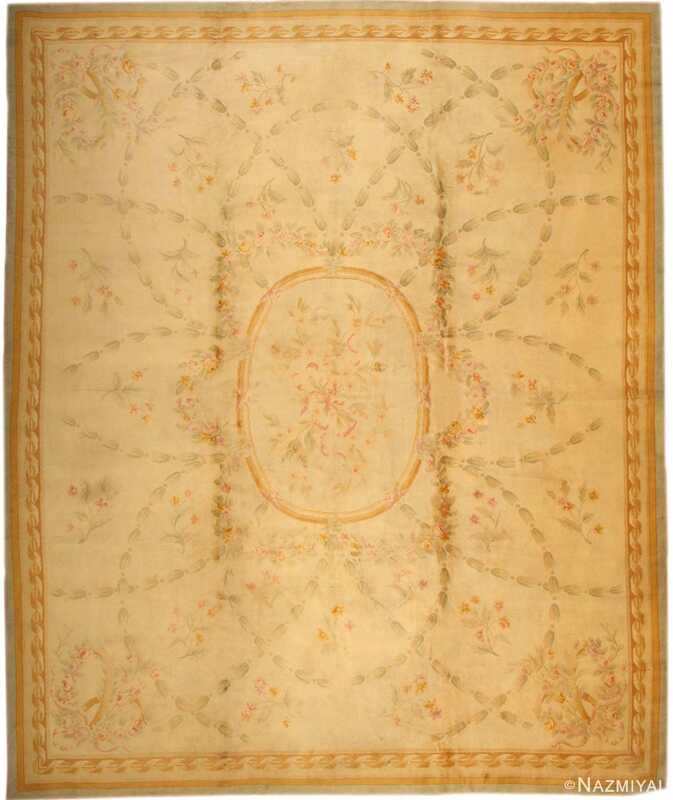 Like many classical European rugs, smooth weaving and fine outlines define the foreground elements, resulting in an almost painted effect, making the rug as much a tapestry as a functional floor piece. 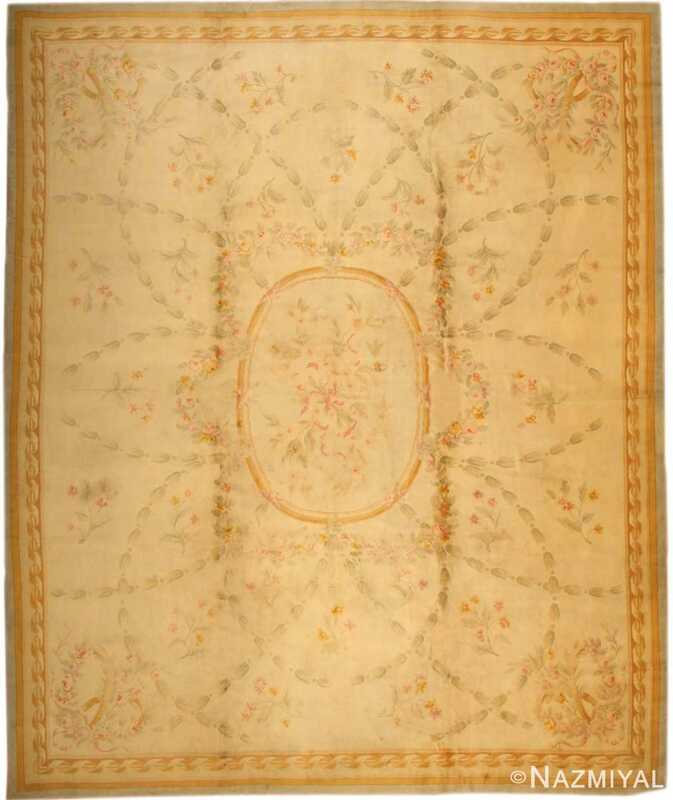 Warm, earthy tones add necessary grounding and definition to the piece as a whole, the effect culminating around the borders of the antique French Savonnerie carpet, where the appearance of links establishes texturing and interest within.